Future Publishing has today launched a new magazine specifically for Raspberry Pi enthusiasts and anyone else that would like to learn more about the awesome mini PC and building projects and programming using it. 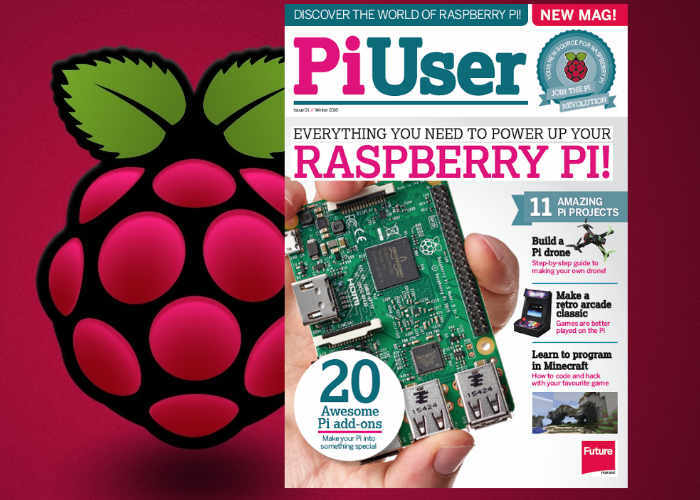 The new magazine named PiUser is now available to purchase for £7.99 and is a little more expensive than the official MagPi magazine published and created by the official Raspberry Pi Foundation. Future Publishing has a good track record for creating good magazines and has made a sample issue available to view online and purchase as well as making it available in newsagents throughout the UK. At Pi User we’re here to do more than get you started programming with the Pi, although we’ll show you how to do that as well. We’ll inspire you with the latest Pi projects, reviews and Pi news.